The Death of the Copier Dealer - Rise of the "Hybrid"
I was reading Ed's post over at the Imaging Industry News site about "Hybrid Dealers". Ed states, "...No longer is it acceptable for the dealer to only provide the stellar technical insight of an IT VAR or Reseller, or conversely, only the stellar service and traditional click charge based financing options of the copier dealer. Now the end user expects the dealer to be able to provide the best of both worlds, the technical excellence of an IT reseller and the service excellence of a copier dealer..."
Ed and his group are right on with this observation - I see the need everyday; I see the prospect changing too. I would venture a guess that larger companies are experiencing this change and the need for a Hybrid Dealer a Partner. Your typical small company does not have an IT and Facilities staff - sometimes, one person will fill both requirements. And this is why most smaller companies have embraced the MFP and it's full function. On the "dealer" side, I have been in the presence of the owners of successful Copier Dealers - they do not see "MPS" as a major interest from their customers. Interesting. They see MPS programs as another "arrow in the quiver" - arrows to be shot at the prospect. (Another interesting metaphor/cliche.) In the same light as duplexing, color, or scan to file. Just another "add". "Hybrid" - according to Dictionary.com, "... anything derived from heterogeneous sources, or composed of elements of different or incongruous kinds: a hybrid of the academic and business worlds..."
So, yes, I would agree that a VAR/Dealer/Reseller "composed of elements of different or incrongruous kinds" is a reasonable, Darwinian, expectation. 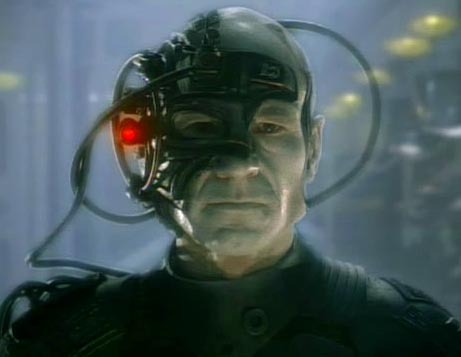 The result would be an entity that takes "the best of both worlds" - CPC and IT knowledge. My question is, "Can today's dealer change on its own or will the Hybrid be grown from the ground up?" Time will tell - meanwhile, I need to take my computer in to the nearest Inacomp, ComputerLand, MicroAge - oh wait...they all changed their name to Best Buy, didn't they? I will agree with Ed and yourself, I work for a small independent copier dealer and see the how the industry and its customers are changing. It used to be the buyer or owner would make the decision to purchase a copier, now I see a lot more IT and regular users having a bigger role in the decisions. I also see most small Copier Dealers still offering there products as products, I think because there afraid of the technology and what it takes to handle all aspects of selling New Age Copiers. It used to be just selling copiers, now it is not just a copier but a MFP, Scanner, Printer, Fax all-in-one and customers want a company that can handle all aspects of there purchase. IT Service and Support. 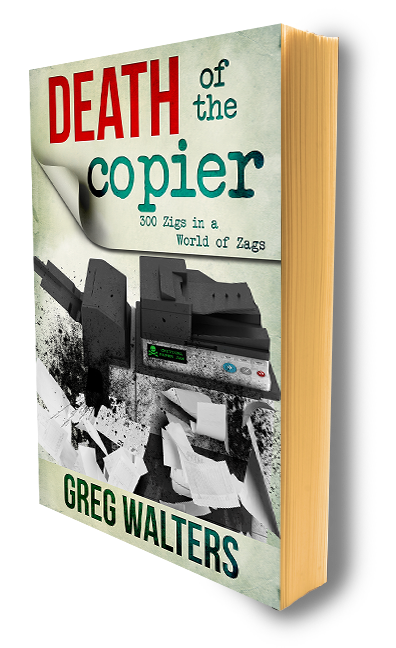 I used to consider myself a copier salesman now I think I am more of an Office Technology salesman since my prospects and customers want more than just a copier. Thanks for chiming in...it is interesting isn't it - I have seen something like this before in the PC industry back in the "Day". I completely agree with you both on this. When everything became digital, it took many dealer some time to make the adjustment. Now that these devices are becoming communication hubs, the copier dealers will need to change. The stronger dealers will be able to adjust, but how long will it take? I think that the dealer community will need to start developing themselves into more of a VAR than a copier dealer. If they don't, they will start to see profits dwindle. I work for a copier manufacturer, but before that I worked for a computer reseller. I would sell equipment at or just above landed cost. I would do this to get the services revenue. The services piece would give me 40-50 points of margin on my deals. When I went into the copier field, I was amazed at the margins being made on the hardware. These margins are now down to 10-15 points on larger deals. If a dealer is going to be profitable, becoming a "Hybrid" dealer will be their only option. Thanks for your post, and yes...you have a firm grip on what will happen - out of necessity and survival. The New Channel, is already evolving - we now have Early Adapters and Old School "gear-slingers".